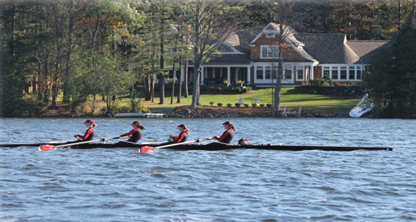 Willow Bank Yacht Club’s mission is the promotion of sailing and the responsible use of Cazenovia Lake. The club works hard to accomplish this mission through an extensive sailing program which includes youth and adult sailing lessons, a junior racing program, club races, regional regattas and recreational sailing activities. 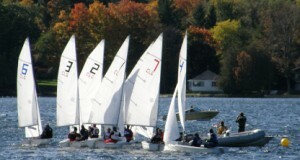 Most club sailing events take place between Memorial Day and Labor Day. The collegiate sailing program gives college teams access to docks, a boat ramp, a hoist, work boats, marks, boat storage, Wi-Fi, and a great view of the lake. It also furthers our mission to promote sailing and responsible use of the lake. Everybody benefits! We are committed to growing this program. 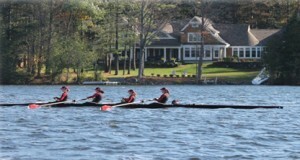 We are currently working with schools to expand the Spring and Fall Regattas that are hosted at WBYC. Contact Mark Jenner at info@willowbankyc.com to learn more. Willow Bank has hosted the following schools at past events: Army, Cazenovia College, Colgate University, Cornell University, D’Youville College, Hamilton College, LeMonye College, Ocean County College, Ottawa (Canada), Penn State University and Syracuse University.